Here's some footage I took on Sunday of my mate and I flying our 5" quads. Tello is on the workbench with some busted motors and mounts so I'm flying my walkera furious 215 quad a bit more. Awesome mate! Can I have some more info on the small 100mm quad? Been meaning to get into that size, like you said, indoors and around the garage at night is definitely micro territory! Will post a pic in the fleet post when everything looks “respectable”, lol. I take offense to this! We are respectable-ish! Edit: well... I admit, I misread that...lol continue your conversation. The small one started as a proof to friend that FPV drone can be cheap and fun. I was thinking about smaller drone for a long time and that was the push I needed. I ordered Mobula 7 on Banggood, but they were postponing the shipping week after week, so I canceled the order and decided built it myself. It is more fun, when you can build your own. Lets go through the part list. I am using FrSky and FC with FrSky EU receiver doesn't exist. Or at least I wasn't able to find one. I bought SP Racing F3 FC, flashed betaflight instead of Cleanflight, connected FrSky XM micro receiver, soldered 4 brushed 8520 motors(same specs as Tello), added combo of 25mW FPV cam+VTX and all of that is placed onto cheap eBay carbon fiber frame. I am using 260mAh 1S LiPo, which can power this little beast for about 2:30-3:00 minutes. 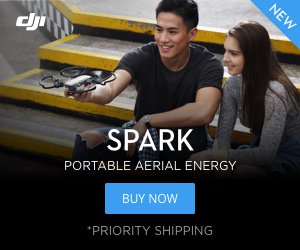 You can go with 400-500mAh and get twice as much air time, but handling is pretty bad with all that weight. If you are interested, here is video of my first outdoor flight with full list of components and links where I bought them. As you can see, it is pretty quick. It needs more PID tuning, but I would say it is enjoyable little drone. I will see how long will these motors last, but I am running them on pretty conservative settings. In brushed quads you can use PWM signal frequency to adjust how much curren will go through them and how much thrust they will produce. The lower the frequency, the more thrust and noise they will produce and vice versa. However the opposite goes for their life time. All of the info above is for brushed drones. Brushless could be better in terms of power or reliability/expected life time, but also price would be higher. So I went with brushed build as to see if I am interested in smaller drones. If you would like know something more, I will be more than happy to help you. PS. My English isn't that good, so I hope this text makes sense to you. since you are tech savy. How hard is it to take off these motors and install them in the Tello? In short - not possible, there was one guy trying to do that and he failed. Long explanation - these are brushless - different technology and you need ESC (regulators) between the flight controller(the main board of your drone with processor and all the sensors) and motor. But it is not that easy as it may sound. It needs to communicate with right protocol to the FC. There is no plug and play adapter to convert brushed to brushless. Also only benefit would be longer motor life expectancy, but everything else would be worse. Mainly weight and size, because you would be adding more parts/weight to our tiny Tello. Edit: Forgot to mention, motors on that particular quad, Trashcan are for 2S - it means it needs twice as much voltage as out Tello battery has, but there are 1S brushless motors. That was one of the first threads I read when I joined this Forum. What I had in mind was more to using the Tello housing for a brushless quad with height altitude hold and VPS. In that case you would be able to do that. More or less. But you would only use the Tello housing, the rest would be different. You would need flight controller based on Betaflight, barometer with magnetometer and GPS. You would end up with the most feature rich Tello ever and huge freedom of configuration and even GPS flight planner. The question is - do you really need Tello housing when you can start from scratch with carbon fiber frame. If you put it that way, I can just keep the drone as it is. BUTTT I can pretend with my friends that my Tello is superior to theirs. Cool stuff guys!!! You will be happy ot know Stewe12 that I've recently won an ebay auction with a hole bunch of 2nd hand beta fpv gear so I'm keen to get into that size as well..
Each of them is about $5, the big one is about $7-8. Left one is from water plumbing insulation and 20mm PPR, the rest is just Ø20mm PPR. Cool! Can’t wait to get my beta fpv stuff and goto town ! Nice! What rates are you using? Also do you fly any kind of simulators? Yesterday I got chance to fly awesome place with my small acro drone. My friend took me to big a car park for agro company, so I got to fly around big tractors and trailers and such stuff. Awesome experience. You can't do that with big drone and risk damaging expensive machinery, but small 36g toy won't do anything even in full speed crash. I hope I will have time to export video of that.